Manager effectiveness is the most important driver of employee engagement and performance. Bringing together the best of leadership coaching and the best interactive learning technology. C4M helps emerging leaders develop their ability to lead others and hone fundamental management skills. 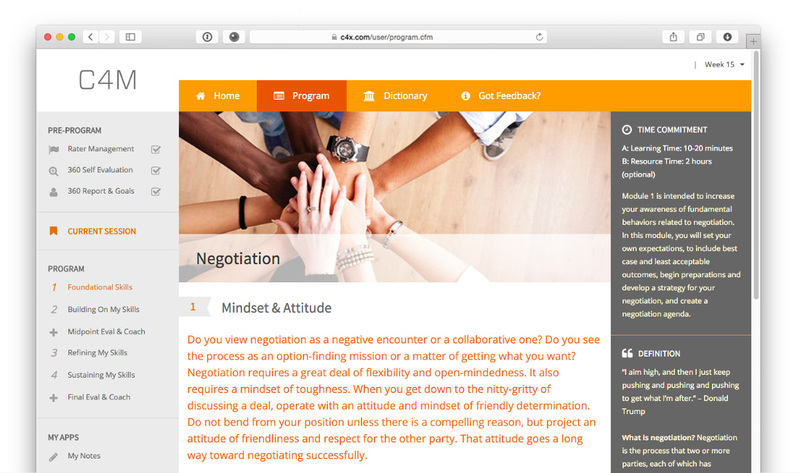 C4M is a powerful solution for first time manager as well as managers looking to take their skills to the next level. Your emerging leaders will quickly learn both fundamental and strategic management skills combining the impact of 1:1 coaching with the scalability of an interactive online technology. 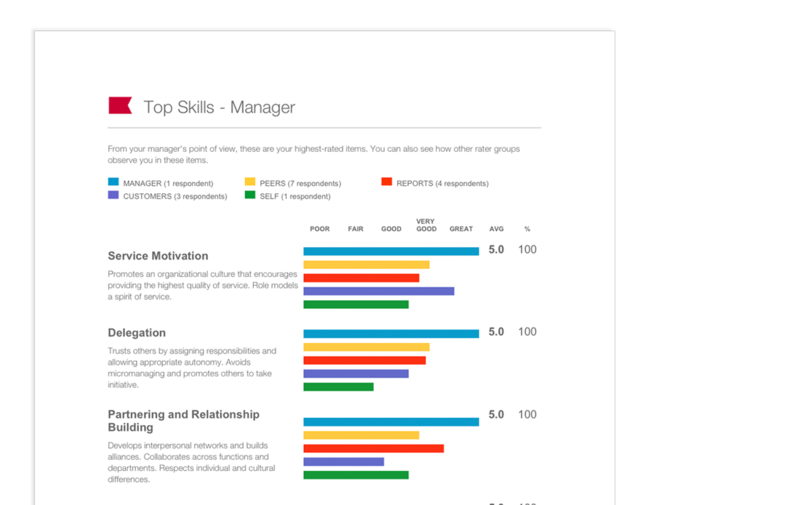 First, the participant identifies a baseline of strengths and opportunities using a proprietary 360 assessment. 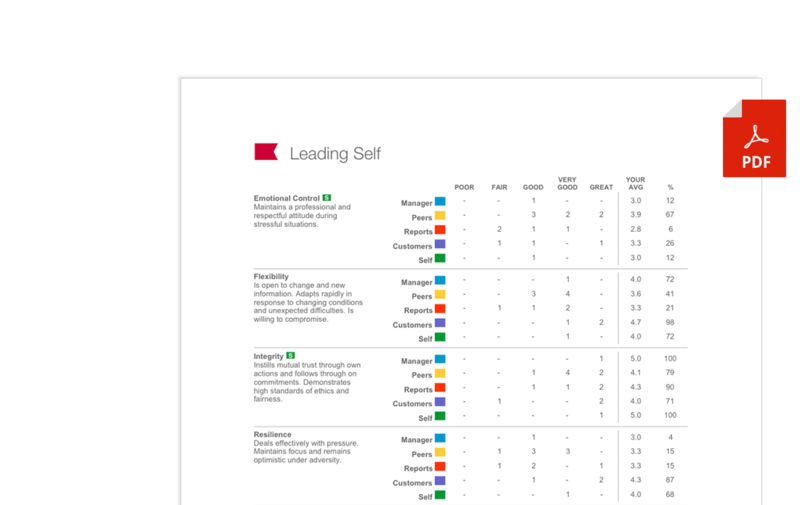 Then, each participant works with their personal leadership coach to interpret the 360 report and choose the most significant areas to develop to increase performance. High impact 1:1 coaching sessions continue at key points throughout the program. Flexible weekly online learning sessions reinforce coaching topics, allow the learner to drive their development, and provides an interactive learning environment. C4M's individually tailored process, content, and structure results in sustainable behavior change and performance improvement. It begins with matching the client and coach. A 360 assessment is taken to identify the current skill set. The participant works with their coach and manager to set three management goals/competencies on which to focus. C4M is the only program to provide manager with the right combination of assessments, tools, skills, support, and metrics.